Directed by James Watkins. Starring Daniel Radcliffe, Janet McTeer. However I was willing to take the leap and I did really try my best, despite the film itself doing virtually nothing to help me and convince me otherwise: there was not a single mention of his young look from any of the characters and we are just supposed to take it all from granted. At some point in the beginning there was even shot of what looked like the Hogward Express, running through the British landscape, with steam and all the rest (I was expecting to hear John Williams’ tune at any point!). Casting Radliffe was always going to be a dangerous choice. One one hand you get all those devoted Potter fans, on the other you’ve got to be able to shake off his enormous baggage otherwise you’re running straight into the lion’s den, with your public and critics alike. Radcliffe himself does try his best to restrain his usual trade-mark heavy breathing (even the director James Walkins admitted he’s been trying to force Daniel breathing with his nose instead of his month as he always does, whether he is Harry Potter or even naked on the stage playing in Equus). The film-makers made sure he spoke as little as possible (sadly the worse and most laughable scene, when he has to say goodbye to his son in a train station, comes right at the top of the film, setting a bad start for whatever is left to come). Wisely they managed to avoid having him standing right next to any other cast members (so that it wouldn’t show how short he is which would have made it even more laughable). But unfortunately all this is just not enough and his presence, instead of making the film better, holds it back. Surely some Potter fans will be drawn to see it, but I doubt anyone could possibly be enraptured by it and in the end bad word of mouth will make this film disappear from the big screens pretty quickly. It’s probably not very fair to criticise a movie just for his main lead, even less fair to compare it to previous movies in which the same lead starred, I agree. But even when you take Radcliffe out of this film, you’re actually left very little else. 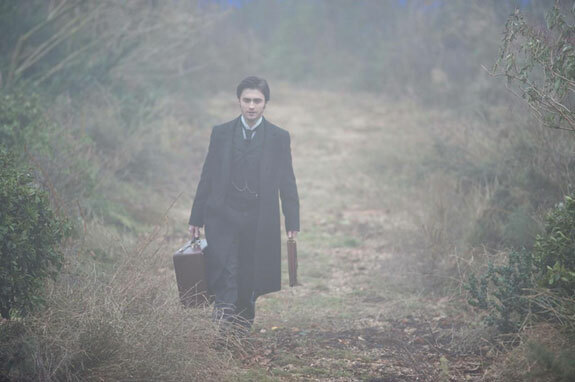 “The woman in Black” wants to be a film about “mood” and “atmosphere” more than “action” and “twists”. It’s more about the expectations of the ghost in a locked room at the end of the corridor than the actual reveal of the ghost itself. In a way, it’s an old fashion ghost story: it’s all about those creaks in an old house, the thick fog hiding a secret and those eerie shadows that should make your skin cold. On paper all this sounds great and I am all in favour of an old-style good ghost story… If only it was all building up to something… Alas the pace is even and slow and Daniel is alone for most of the film investigating strange noises around the house for what feels like an eternity; so much so that after a while it all gets incredibly repetitive and rather tedious. James Watkins, the director, was probably aware of this and in order to “jazz it all up” decided to pepper it all with several fairly predictable loud stabs of cheap scares. I say fairly predictable because as an average horror fan I could see most of those “jumps moment” coming from miles away. Of course some of them are quite effective, but I don’t think that should be a mark of a good horror film. It’s certainly not difficult to scare people with a loud crashes and bangs in the middle of a very quiet scene. I couldn’t help feeling there was nothing in this film that I had not seen before… A haunted house, rocking chairs moving by themselves, spider webs, locked doors, ghosts appearing in windows, a graveyard at night, thick fog and quicksands, old fading photographs … No cliché was left untouched. Oh look, Daniel is reflected in a window! How long will it take until a ghost appears in the reflection. Not long, believe me. As for the plot itself, it really feels rather dated, like a story that belongs to a different era, which in theory should be fine, but 10 minutes into the film I really get the feeling that I have already seen it all. There have been way too many horror films following the same sort of set up and this has nothing to add to any of them. I haven’t read the original story, nor seen the stage play, but by watching this film alone I do get the feeling that this is a short story stretched to its limits. Probably OK for a twilight Zone episode, or maybe even or a theatre stage (apparently this is still a bit hit in the West End in London), but as a film, aside from some interesting visual and a few promising scenes (the very start with the little girls is intriguing for example), there was just not enough to keep me interested for the length of the film and by the time the ending came I just did not really care who lived or died. I know I am going to be quite unpopular with the many Radcliffe fans out there (and please, don’t take me wrong, I do usually like the guy), but I found this film very very very disappointing. In fact, quite laughable and just boring. Sorry. PS: I must probably say, that since I have written this review, I have spoken to a couple of friends of mine (non-horror fans) both of which were absolutely petrified by this film… and bought into Daniel from the start… The beauty of movies: they’re subjective. 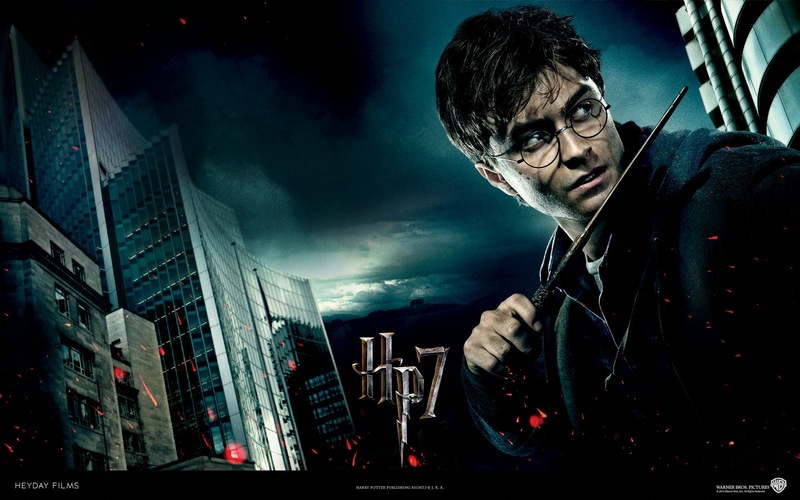 Click here to read the review from the last Harry Potter. This is my list of the 10 biggest snubs for 2012. Let me know if you agree. 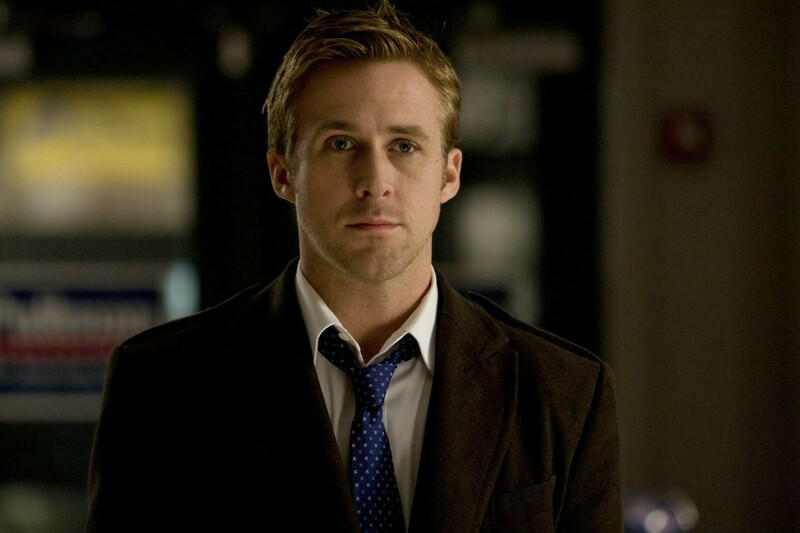 This is the second time in a row that Ryan gets snubbed by the Academy. Last year for some obscure reason he was not even nominated for his great performance in Blue Valentine ,which was just as strong and powerful,l if not more, than the one by the nominated Michelle Williams (here’s my review of that film). It’s all even more shocking this year, since not only he seemed to be the front-runner with his dramatic (and yet restrained) performances in both Drive and the Ides of March, but also he also showed us his comedic timing with his supporting role in the surprisingly good Crazy Stupid Love. 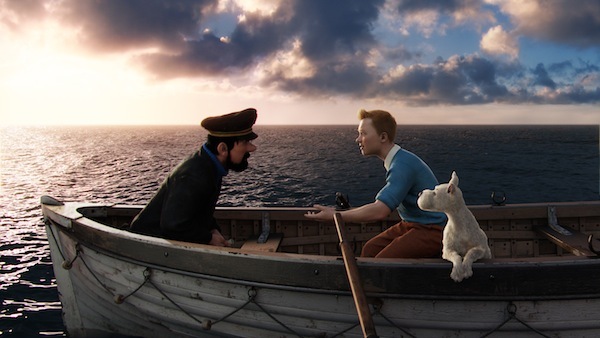 Ok, we all probably agree that this wasn’t the greatest masterpiece of all time: the story felt segmented and slightly anticlimactic towards the end, the comic timing wasn’t always there, and the character of Tintin wasn’t always as engaging as he could have been. But as a piece of animation, it was impressive, rich, inventive and skilfully put together. Instead the Academy chose to ignore Spielberg’s first foray into 3D animation veering towards a much the more restrained and old-fashioned approach of A Cat in Paris (Click here to see a clip from it) and Chico and Rita (here’s the trailer). While this was surely a choice to be praised and commended for, I’m not sure the same can be said about nominating uninspired filler-films like Kung-Fu Panda 2, Puss in boots. Even Rango, though probably the most deriving one on the US list is in the end rather forgettable. 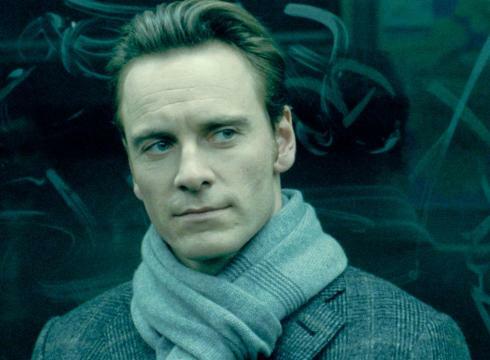 Whether you liked Shame or not, nobody can deny that Fassbender’s performance in the film was truly mesmerizing. The entire film focused on Micheal’s face and his body as he literally exposed himself to us. His every single weakness, every single thought and every single body part is there for us to see, as his tortured soul descend more and more towards hell. And even if Shame was a bit too much for the Academy’s taste, his performances in both Jane Eyre , A Dangerous Method should at least have been noted. One thing is certain: both Fassbender and Goslinghave been the actors of 2012, and yet neither of them appears to be nominated. 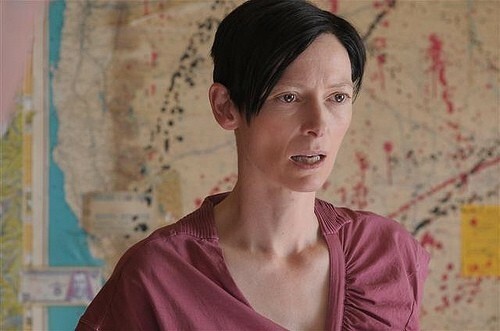 Tilda’s haunting and shattering performance in We Need to Talk About Kevin was absolutely astonishing and possibly one of the best of her career. The fact that she’s not even among the list of nominees is nothing short of truly baffling. It seems that the film is another of those “downer” which are usually too harsh, too depressing and basically just not friendly enough to appear next to the word Oscar. In fact, not only Tilda didn’t make the list, but nor the film, nor its director, nor its script, nor the truly terrifying Ezra Miller (as the “Kevin” from the title), not even the ever perfect John C. Reilly (as Tilda’s husband in the film) who’s always getting sidelined, but who sooner or later should really be recognised for his many great characters over the years. This wasn’t a big surprise since we already knew that the film had not even made the long-list among the documentaries to be considered for the nomination, but that doesn’t make it any less of a snub. In fact it’s probably an even bigger one! Not that Senna needs any more awards or recognition to prove how good it is. 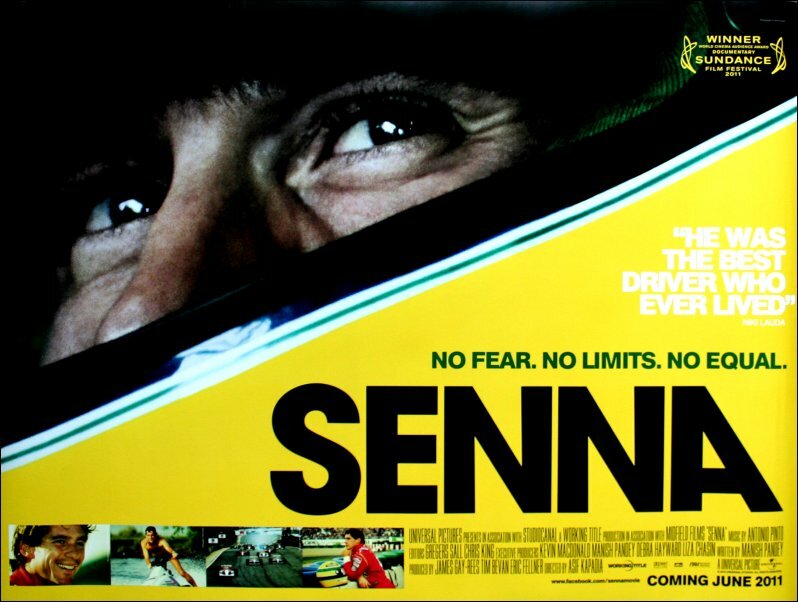 Made of just archive material and no talking-heads Senna was one of the most powerful film (not just documentary) of the year not just for the Formula 1 fans but even for people like me who can hardly tell you the difference between a Ferrari and a McLaren. Riveting, inspired, incredibly moving and yet missing from the Oscar 2012. Of course this isn’t masterpiece and some people may argue it shouldn’t really deserve any Oscar, but if the Help is up there, together with Bridesmaids and, let’s face it, Midnight in Paris, why can 50/50 be there as well. After all it was one of the bravest films coming out of Hollywood last few year which not only was able to tackle a subject like cancer with the constraints of a comedy, but it also did it with great respect, incredible taste and yet without hiding away from the harsh reality of the subject matter. 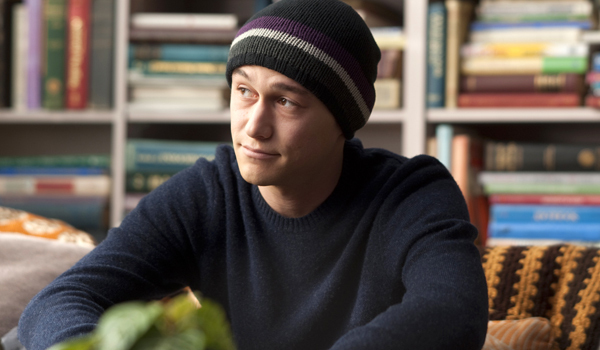 Anyone in the film deserved to be at least mentioned: Joseph Gordon-Levitt, acutely observed performance, Seth Rogen‘s honest turn as best friend of somebody who’s been diagnosed with cancer, Jonathan Levine‘s directorial decisions to handle such a delicate subject without any of the lush, or even syrupy and cheesy ways that usually come with such a Hollywood product. Even Will Reiser‘s script (written from his own experience, usually a winner formula for getting an Oscar) was snubbed by the Academy. Leo has never been very lucky at the Oscars. In 1993 was nominated for his greatest performance in What’s eating Gilberg Grape, but lost our to Tommy Lee Jones for the Fugitive (yes, indeed!! ), back in 1997 he was the only person in the whole crew from Titanic who was completely snubbed (though he was one of the main reason for the astronomical success of that movie). He also lost for both the Aviator and Blood Diamonds and was sidelined for his roles in Catch me if you can and Revolutionary Road. 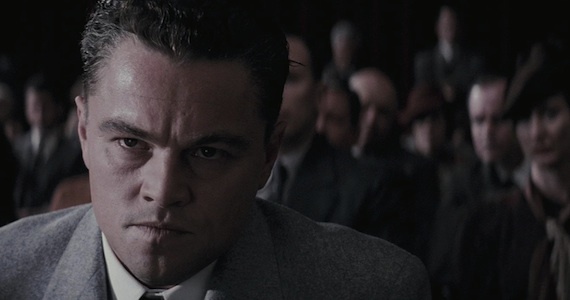 J. Edgar is definitely not a good film (And that’s why it received zero nominations! Here’s my review), but nor is The Iron Lady (and here’s the review for that one too) and yet that didn’t stop Meryl Streep for being nominated (and hopefully win her 3rd highly deserved Oscar!). Leo’s performance was not just the best thing in the film, but actually very good. Unfortunately it probably suffered too much by all those way-too-many layers of latex of all the prosthetics he was forced to wear, but I would have certainly chosen him over Brad Pitt in Moneyball (By the way, how strange to find Pitt nominated for Moneyball and not The Tree of Life). During the recent Oscar campaign Fox has been asking Academy members to consider Andy Serkis’s turn as Caesar in Rise of the Planet of the Apes as one of the top male performances. However when it comes to Motion-capture technology, it is very hard to tell where does the actual performance come from:is it the actor behind the pixels or the animator who took the performance and transformed it and enhanced it. It is a fair argument, however the same can be said about normal performances and direction orediting. Was that particular reaction just spot on because of the greatness of the actor or because of the way the director cheated the actor into it and the way the editor was able to smoothly cut it into the film (famously Hitchcock used to have fun in shocking his actresses by unzipping his pants and filming their reactions to be used in his films to be used in completely different contexts. And Spielberg himself told stories of how he got some of the best performances out of children by cheating, playing or even lying to them). 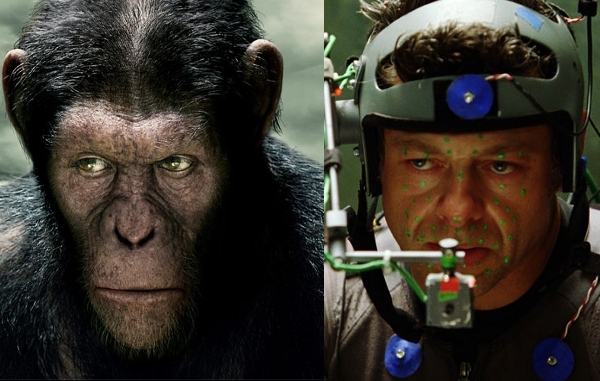 Whatever the truth is, you can still tell Andy Serkis out of all the apes in Rise of the Planets of the Apes: his eyes in the film tell a thousand more words than any of the other performances in any other film of the year. It’s about time the Academy starts recognising this new art. This has always been something peculiar: not a single Harry Potter movie has ever won an Oscar. Some of you may say “well, rightly so”, but it has to be said that this isn’t just the most successful movie franchise in history (close to 7 billion $ at the time of writing this, in the cinema alone) but it has been quite groundbreaking on the level of care and attention as far as set design, art direction, costumes, and special effects. And let’s not forget John Williams’ classic soundtrack. Were any of those elements any less impressive then the ones in the Lord of the Rings Trilogy (which actually ended up getting awards left and right on every single instalment?). I would probably take this even further and say that the last few films have even been beautifully filmed and choreographed. recently a lot of fans have been campaigning for Alan Rickman to be nominated for the latest instalment. This is something that sort of makes sense if you have watched the entire series and considered the character that Mr Rickman has been creating throughout the 8 films. 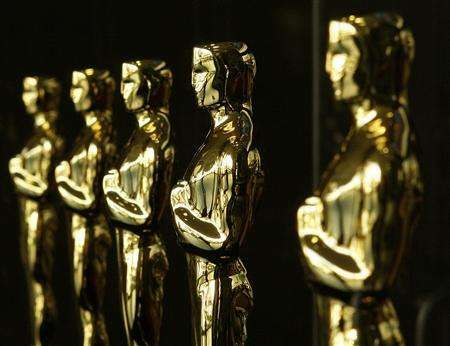 Unfortunately Academy awards doesn’t always work like that and to give something to an actor who only appears for a few minutes in a film (even though it has happened before) is something of a rarity. With 3 nominations this year, hopes are still high, but it will be rather shocking if even this film (arguably one of the best!) didn’t win anything. here’s the definitive list of all the biggest Oscar omissions and snubs. Directed by J.C. Chandor. Starring Zachary Quinto, Stanley Tucci, Kevin Spacey, Paul Bettany, Jeremy Irons, Simon Baker, Demi Moore. “Margin Call” is inspired by the 2008 meltdown of the banking system, and although it is officially set in a fictional trading firm somewhere in Wall Street, you can’t help feeling the Lehman Brothers’s shadow lurking over the whole thing. I would not have been at all surprised to read a Merrill Lynch sign at any point during the film. Yes, this might very well be a work of fiction but by the end of it I challenge you not to think that this is exactly how it might have happened. 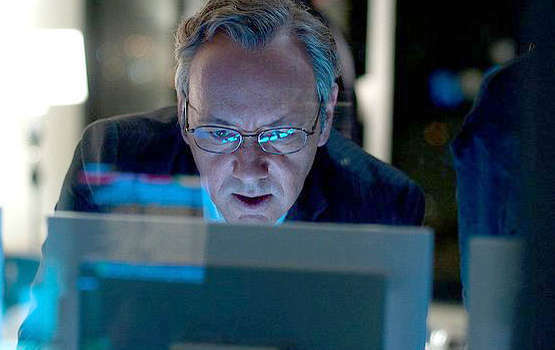 Despite what is potentially a fairly dry , cold and even complicated subject, “Margin Call” manages to make an absolutely gripping and tense thriller out of what’s essentially a group of people looking at computer screens and talking about things most of us, common mortals, don’t quite understand. 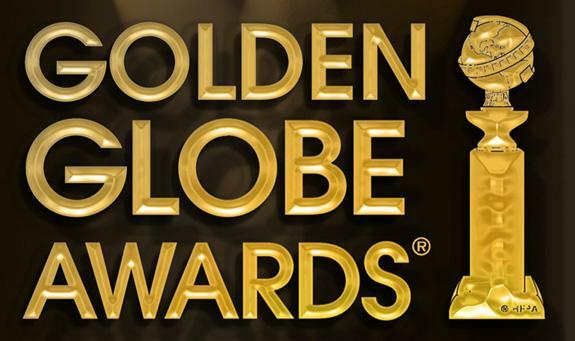 Kudos to a tight direction and of course some great stellar cast! However, unlike many movies where having many big A-listers takes something away from the actual story itself, because of their star persona, here it makes absolute sense to have so many of them, as each of them brings aura of gravitas which makes these characters and their story even more believable and more tense. The movie confidently relies on the expressions on their faces to convey the power of the drama, more than any other tricky filmic devices or even action scenes. Stanley Tucci shines as always and makes the most of his little screen time (essentially he only has 2 scenes, but boy he nails them both!) and Kevin Spacey shows us that he can do a lot more than just another caricature a-la-Swimming-with-Sharks. It’s great to see “The Mentalist” Simon Baker playing this kind of part and swearing like we’ve never seen him before and of course Jeremy Irons, who is clearly having a ball playing the ultimate boss of bosses who arrives with a helicopter and delivers the classic line “If you’re first out the door, that’s not called panicking”. Each of them is a boss of a somebody else: and just when you think we’ve reached to top of the pyramid, a new one comes a long, richer and greedier, even more powerful and more ruthless. However what makes “Margin Call” so compelling is its refusal to play the expected clichés of the genre, to criticise or demonize the people who were behind the economic collapse or worse to attempt any kind of forced redemption at end. This isn’t another Oliver Stone “Wall Street” (a film which has actually aged quite badly, if you go back at look at it today with a more cynical eye). All these people working in the finance business are not just two-dimensional sharks and though the ending is exactly as we might expect (as it’s now written in the history books), the actual journey is not as obvious. You really feel the tension on the faces of those people most of whom don’t even seem to understand much about how the economy works (that is quite an unexpectedly fun, if grotesque, twist on the subject) and never for a moment you doubt that it was all filmed in the darkest and earliest hours of the morning. The script may sometimes be a bit cheap and too much in your face (the lines “please explain it to me in plain English” are quite welcome but they also feel a bit forced), however the film manages to create an atmosphere that it is so tense, so dense that it’s almost palpable. Once again a proof that you don’t need special effects, big twists and action scenes to create a powerful thriller. This is what Wall Street 2 should have been. In a way “The Artits” is a real love letter to silent movies from the 20s and 30s and to cinema in general. 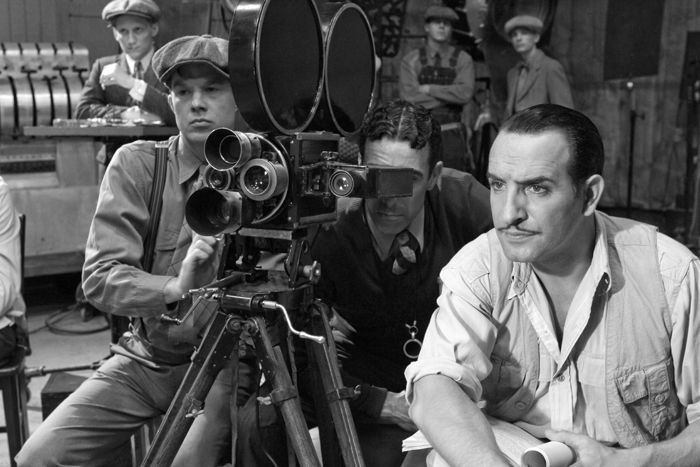 Clearly French producer/director/writer/editor Michel Hazanavicius knows his background in silent films and he understand them well enough to be able to pull off not just something that it’s incredibly reverential to that time and that type of film-making but at the same time clever enough to be appreciated by a modern audience and critics alike. Hazanavicius seems to have a real understanding of the visual medium and knows how to tell a simple and honest story without relying on cheap special effects or heavy exposition. This is a real return to basics. They say “they don’t make them like they used to anymore”. Well, in this case, it seems that somebody actually has just made it exactly like they used to. There’s a naive sensibility throughout “The Artist” that’s both charming and slightly infectious and it’s hard not to fall for it. There are moments of inspired genius at play too: the very first moment we realise that it is actually a silent film we are watching, and so we have to read the expression in the character’s face as opposed to listening to an applause from the audience in a cinema in order to understand the response to a film that’s just being screened. It is a slight shock at first, but it’s also very clever . There’s a wonderful dream sequence with that unexpected twist with a glass (You’ll know what I mean when you see it) and some genuinely sweet moments peppered throughout the film. And of course all those movie references and in-jokes everywhere that only a real movie geek can spot. Some of them are more obvious than others, starting from the main character’s name Valentin, which is obviously a reference to silent movie star Valentino and his actual look which clearly reminds us of Fairbanks from the The Mark of Zorro (incidentally he is also shown watching extracts from it later in the film). However while I understand and applause the film for its understanding and knowledge of the 20s and early 30s, for some reason I don’t quite feel the same way about all those other “references” from pretty much all sorts of decades. The story itself for example takes from both of Singing in the rain (about a silent movie star struggling with the advent of talkies) to the and A star is Born (about a movie star in decline), but there are echoes to those classic noir films from the 40s, from Citizen Kane itself (I’m referring to the breakfast montage sequence transported to the “Artist” to achieve the exact same effect) and classic from 50s from directors like Fritz Lang, Billy Wilder, Alfred Hitchcock. Not to mention all those typical stock characters seen hundred of times in other movies (even the dog itself is lifted from the Thin Man). It does make me wonder… When is an idea considered “non original” and when it’s a clever reference or an in-joke? If this is a film about the silent era and the time between the 20s and 30s, why is it then referencing so many other later films? What is the point of using the soundtrack from Vertigo (a film made in 1958!!) for one of the final scenes? (In fact there’s been a controversy about this particular issue about the soundtrack of Vertigo). I have to be honest with you, event though I know I might be very unpopular (everybody seems to love this film and it’s most likely going to be the big winner at the Oscar next February), and it’s maybe because I am so familiar with all the movies that came before and that “the Artist” is “borrowing” from , but once the novelty wore off, I found that the actual story itself quite simplistic and slightly unoriginal. And most important, did it really deserve to be 1 hour and 40 minutes long? It all works the way you expect it to work, each character is exactly like you imagine they will be, and the ending is exactly like the poster advertises it to be. In the end I couldn’t help feeling that the “mute thing” was all just a big gimmick. And if we take that out the film, what are we left with? Actually very little indeed. A story we’ve seen a hundred times, predictable at best, with some slapstick humour not particularly funny (yes, amusing a couple of times, but not more than that), some cute moments (the many takes during the filming of the dance sequence being possibly the best), but not that moving or tragic and finally a dog doing the same pretending-to-be-dead joke 9 times (My friend Alec counted them, so I blame him if it’s not actually 9, but you get my point). So while I admire its technique, its knowledge and those few clever and inspired moments, I couldn’t help feeling that there was not enough to fill a whole 100-minutes film (In fact if it wanted to pay a real tribute to the silent era of film-making it should have been a lot shorter like all those movies were). Is this really the best film of the year? Does it really deserve to be the Oscar winner of 2012? Will it really sustain many repeated viewings like all those classics it’s constantly borrowing from. I guess only time will tell but I thought it actually had very little to tell. Directed by Jonathan Levine. 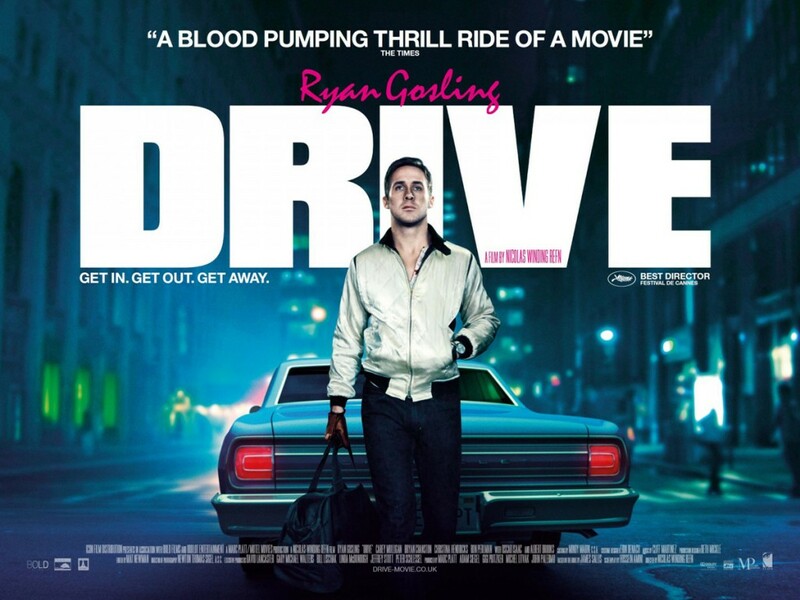 Starring Joseph Gordon-Levitt, Seth Rogen, Anna Kendrick, Anjelica Huston. When you first hear the words cancer comedy referring to this film, your heart may very well sink and your eyes will possibly roll back. First of all, spending an hour and a half in the company of a young man who has just discovered he’s got 50% chances of dying from cancer, is not exactly anybody’s idea of a Fun-Saturday-night-at-the-movies. Furthermore the concept itself of dealing with such a downbeat subject within a Hollywood comedy with Seth Rogen (known mainly for his not-too-sublte humour) sounds potentially catastrophic. However “50/50” not only handles the cancer subject with respect, honesty and restrains but also gets the balance between both the irreverent comedy and the actual drama absolutely spot on. Amazingly this is a film that makes you both laugh and cry within the space of minutes: the laughs may be few but they are always carefully placed to exorcise that sense of fear, angst and sorrow that runs through the rest of the movie in a way that never feels forced or gratuitous. It is funny without being flippant and heartwarming without being cheap or cheesy. Apparently it was Seth Rogen himself who helped writer Will Reiser to cope with the disease and later pushed him to write the screenplay for the film. And this is clearly the work of somebody who’s lived through this agonising experience: there’s a certain rawness and matter-of-factness in the way the details and minutia of what must be like to live with such burden are depicted. It’s certainly not a masterpiece (some of the secondary characters are fairly sketchy and on the whole stylistically and visually it feels more like a TV-drama than anything) but it’s very well handled throughout and though the ending might feel a bit too conclusive and rather too optimistic (especially the bit with Anna Kendrick), “50/50” is never exploitive or cheap, it rarely pulls back and it never looses sight of the harsh reality of cancer: chemotherapy is tough, dealing with the illness is no joke for both for the patient and the people around the patient, and people do actually die. Everybody in the film plays to their strengths and do what they do best: Joseph Gordon-Levitt in a way seems to play an extension of his character from “500 Days of Summer” (in my view one of the most refreshing comedies of the last few years): he brings with him a charming sweetness which makes him very likable and yet he does it without ever resorting to cheesy or cute winks to camera. In fact quite the opposite, as he’s willing to go that extra-mile to make it all look and feel real (he even shaved his hair in one of the most memorable scene in the film in what must have been a one-take affair). His performance is subtle and mostly underplayed and yet truthful and powerful as his character Adam moves through shock, denial, acceptance, anger, defiance. The whole movie rests on him and if the film works as it does, it has a lot to do with his performance. Seth Rogen too, as Adam’s best friend, does his usual Seth Rogen stuff, bringing his crass humour with him and yet always rooted to some down-to-heart reality. The relationship between him and Adam is possibly the highlight of the film: never for a moment you doubt that the two of them could be real best friends. The women in the film are slightly short-changed: the girlfriend character is under-developed and rather annoying, and the subplot with the inexperience therapist sweetly played by Anna Ken­drick feels a bit tagged on. Only Anjelica Houston manages to make the most of her slightly under-written role as Adam’s mother and shines with a couple of Oscar-worthy moments. The music too, like the whole tone of the film, is carefully balanced, alternating a large amount with pop song (At times it almost feels like a Cameron Crowe movie) and a restrained score by Micheal Giacchino (who seems to be doing everything these days) which never falls into schmaltzy territory. I am not sure I would want to watch this film again, nor I would be willing to suggest it to anyone who’s looking for a good day out in the cinema, but it’s a brave one and for that it’s to be commended. 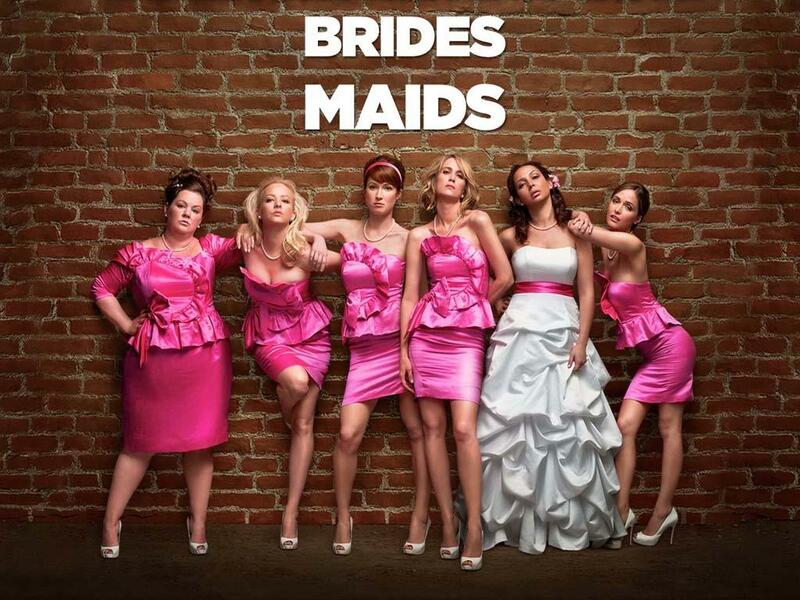 If only all drama-comedies were so unfussy, courageous, subtle and honest, Hollywood would be a better place. 04 June 2012 – in fact since writing the review above, I have watched this film again, and somehow, knowing the ending, I was able to relex more and enjoy the film even more than the first time around. (I even bumped it up by half a vote). I still feel the all-too-cute resolution with the therapist should have been cut out, but aside from that I think this is one of the strongest film that came of Hollywood last in 2011. Looking back, Joseph Gordon-Lewitt really deserved some award for this!